When it comes to skiwear, we know that practicality always comes first. After all, no one wants to be shivering on a ski lift thanks to soggy clothes. However, salopettes and jackets often lack any personality, which is why ASOS and Topshop's ski ranges have been such a success. 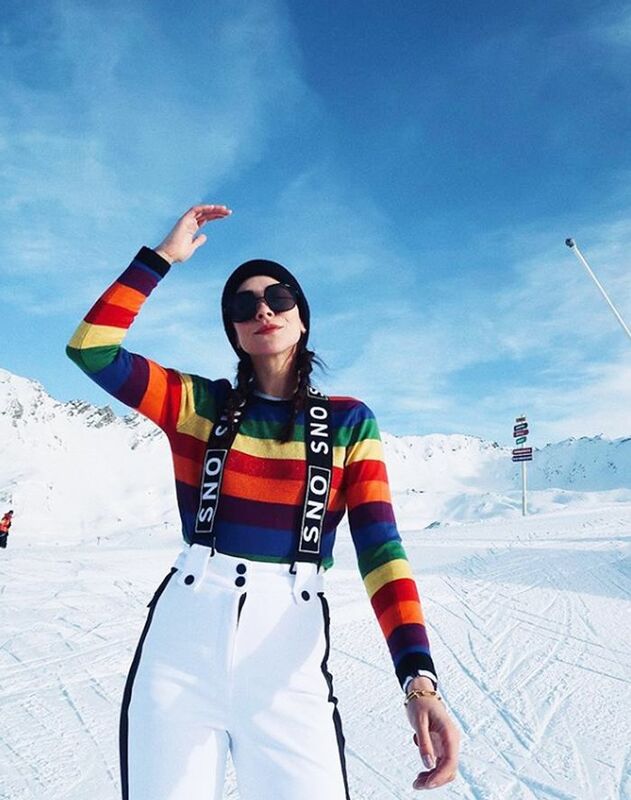 Both high-street giants now create skiwear with a fashion edge, so you'll find salopettes with racer stripes, retro-inspired one-pieces, leopard-print jackets, super-shiny mirrored fabrics and jazzy base layers, which will ensure you stand out on the slopes. ASOS launched its own skiwear range last year, and it has been surprisingly popular with pieces selling out in days. In fact, a pair of leopard-print trousers this season were out of stock within 24 hours. Topshop has been creating trend-led skiwear for several years, and this season's standout pieces include the leopard-print ski suit and colour-blocked jackets and suits. So if you want to have some fun with your skiwear without spending more than £200, keep scrolling for our edit of the best affordable ski pieces. Style Notes: Megan Ellaby wears her Topshop salopettes with a rainbow knit. Style Notes: This yellow-and-blue ASOS one-piece isn't out yet, but we guarantee it'll sell out.